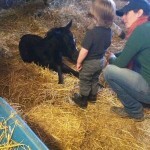 ELPH has a new foal! 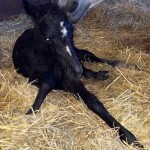 Please welcome our newest addition SPIKE (Invy Star x Sun Dance Rivas Gem). Spike was born yesterday April 12th at 3:20pm. He is tall, he is handsome, he will be gray and he is a keeper!! **Please remember that during this time Echo will need some privacy to bond with her new baby; so please no visitors.